Who isn't looking for the best deal or more savings? One of the best ways to ensure that you maximize your savings is to keep all your appliances the same brand and purchase one of their packages. Packages have become more popular over the years because manufacturers have increased their incentives and rebates. Not only will you save money but the look will be more coordinated by staying with the same brand. KitchenAid and Samsung have similar pricing as well as their brand perception. Both are a very popular affordable luxury line brands that offer packages with significant rebates and savings at various times throughout the year. Let's take a look at their more popular packages and break it down by product. Both packages will include a freestanding range, counter depth refrigerator, over-the-range microwave, and a dishwasher. The packages are broken down by appliance with Samsung on the left and KitchenAid on the right. Ranges are the center piece of the kitchen. Both of these stainless-steel ranges have excellent convection options and would look very nice in anyone's kitchen. These two are so comparable I would have a tough time picking one over the other. Both have large capacities with 5.8 cu. Ft. and have a warming drawer. Both have 5 burners but the Samsung has a total of 57,000 BTU's as for the KitchenAid has a total of 55,500 BTU's. KitchenAid does add a great feature that I think most would benefit from and that would be the steam rack. This offers you the ability to add moisture while baking to enhance cooking results. There is no question, at first glance you see both French door counter depth models here are aesthetically very different. 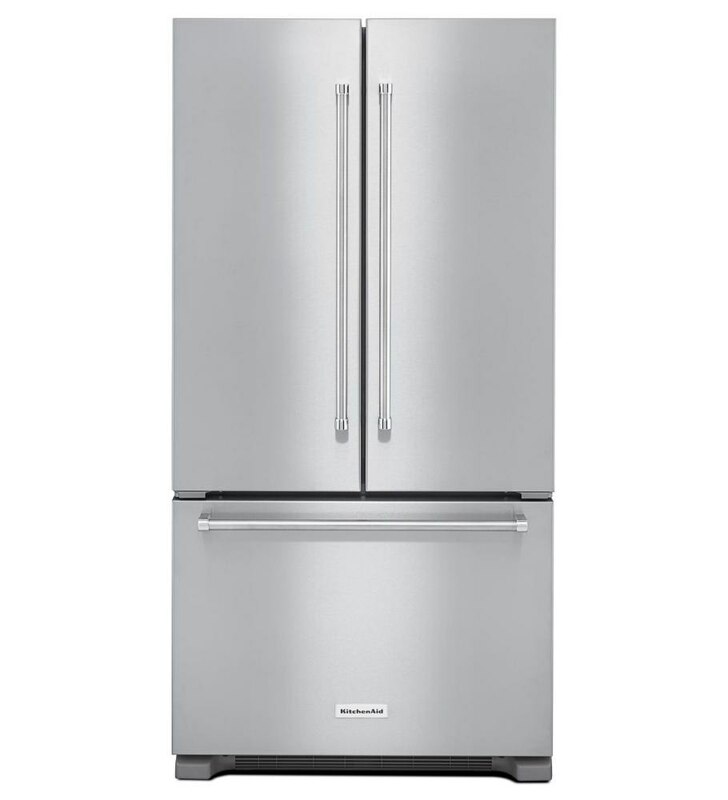 Samsung has designed and released this innovative and sleek new 4-door FlexZone refrigerator. The FlexZone bottom right door is a versatile section that can either be a fridge or freezer, so it changes as you need. 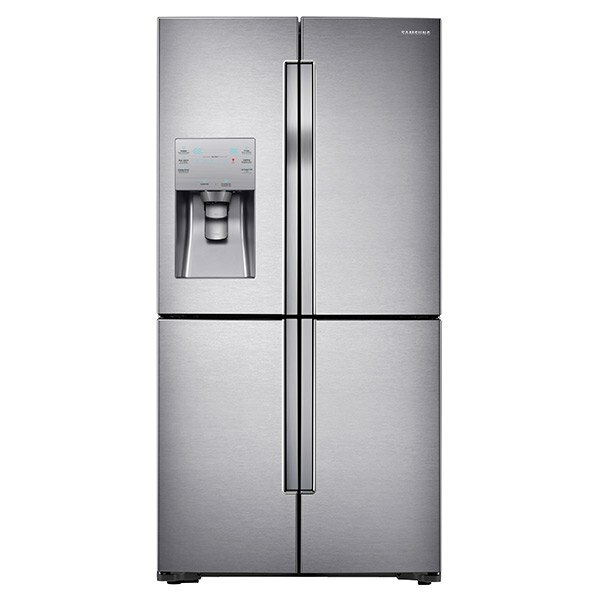 Samsung also does not recirculate the same air like most refrigerators. The moist warmer air of the refrigerator does not mix with the colder dryer air of the freezer. By keeping separate environments, your food should taste better, especially in the freezer. 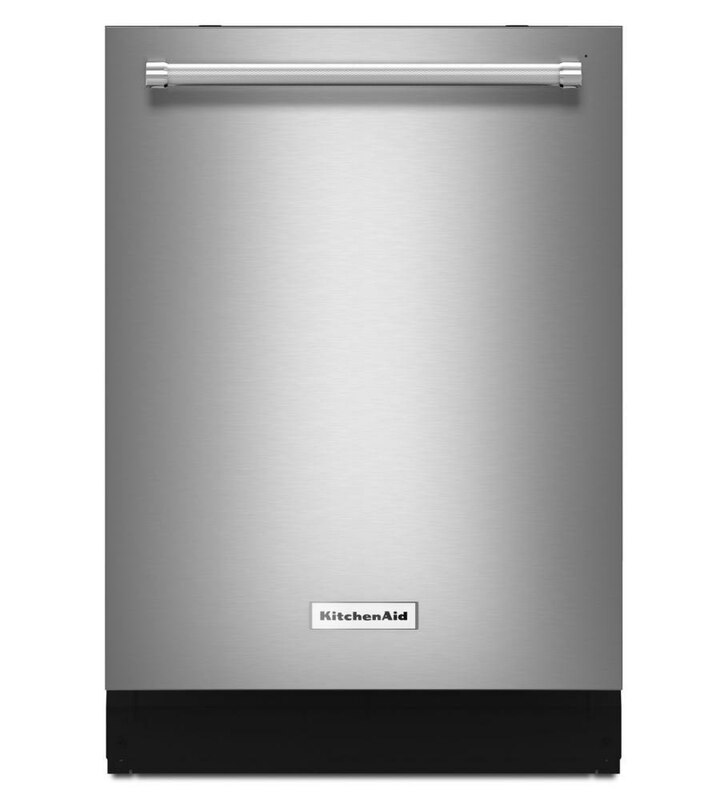 Samsung has the convenience of the exterior ice and water dispenser but the KitchenAid is one of the few brands, like Sub-Zero and Jenn-Air, that offer a filtered internal water dispenser. You will love the convenience of the water dispenser but dispensers require more service. Samsung is the better choice in that sense. This category is one of KitchenAid's strongest. The dishwasher has been their single best product for the past 25 years since being acquired by Whirlpool. 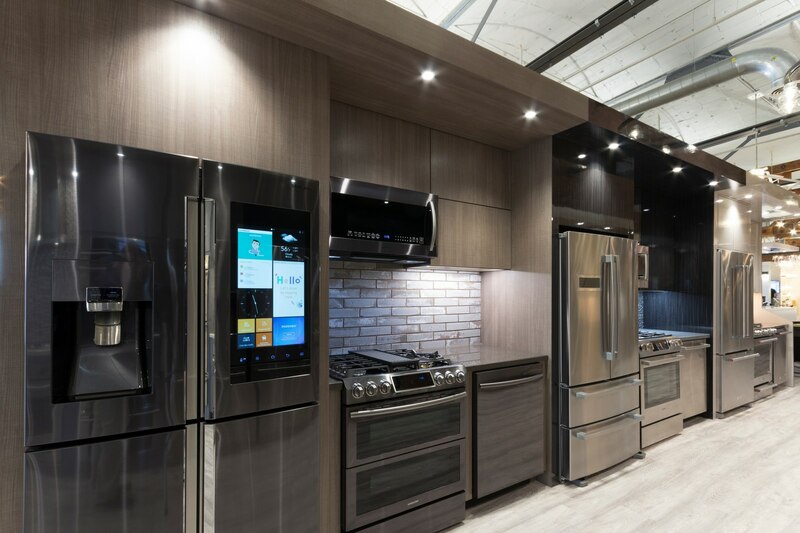 Unlike other appliances, such as a fridge and a range, Samsung's Highlighted features are innovative and new to the industry. 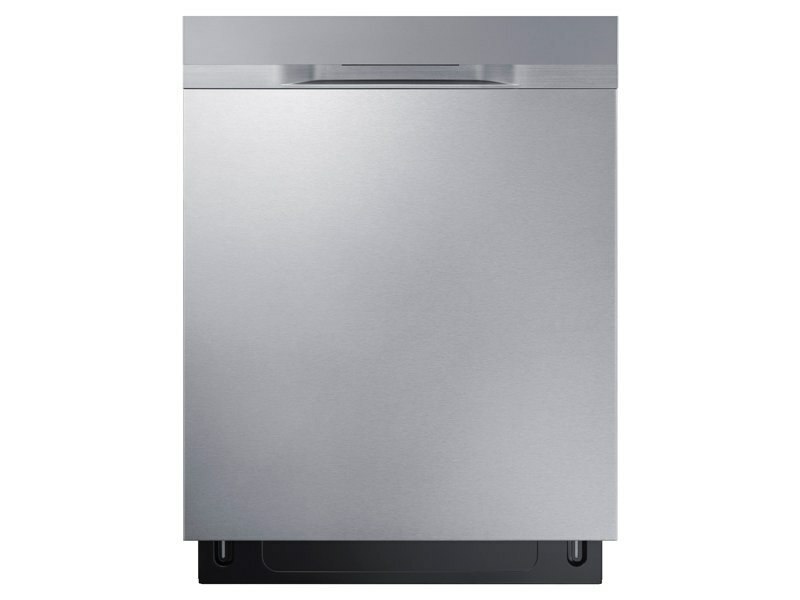 But as for dishwashers, these are common basic features for other brands. This KitchenAid option has the 3rd rack up top to make it easier to clean the hard to place items such as spatulas, serving utensils, and measuring cups. I have also found it EXTREMELY useful for my chopsticks. Has anyone else ever tried to squeeze or wedge those suckers somewhere in the cutlery basket so they wouldn't slip of fall into the tub? Then you will completely understand where I am coming from and find the 3rd rack as incredibly useful as I do. The Samsung does have a louder unit measuring 48 dBA's as for the KitchenAid has one of the lowest DB ratings on the market at 39. So, in terms of quietness, features, and reliability, I think KitchenAid is the better option here. Read the KitchenAid vs. Samsung Dishwashers blog for a more indepth information on this topic. In the over-the-range category, KitchenAid offers 3 different models and Samsung offers 10 different models. Both offer you a basic style microwave that will pop your popcorn or offer higher-end models that will include features such as convection and speed cooking. Both of their venting systems average around 400 CFMs and also offer lighting and easy to clean interiors. 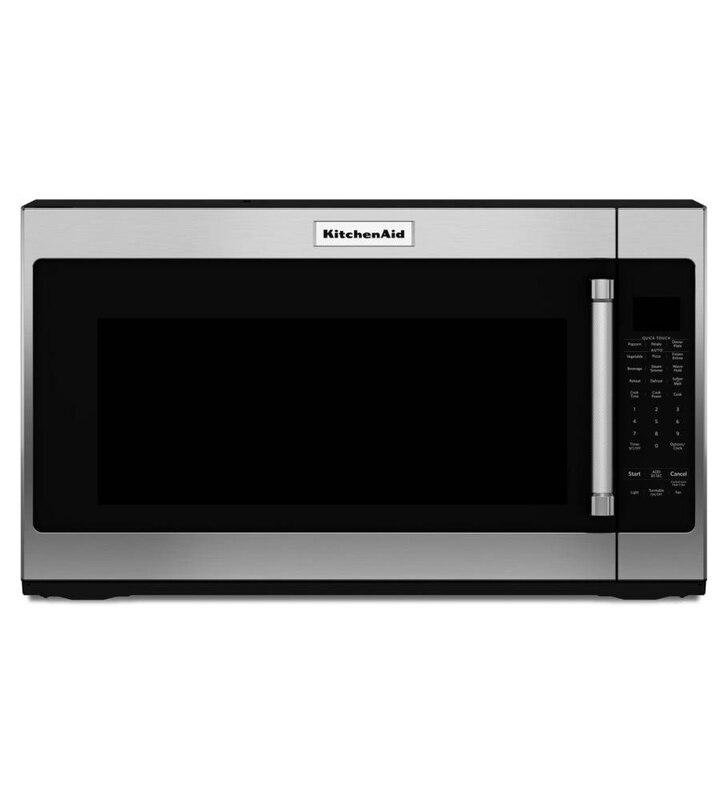 KitchenAid's easy to clean microwave is stainless steel that is coated with, what KitchenAid calls a "CookShield," that allows you to wipe and clean easily without using any harsh chemicals. Samsung's easy to clean models are ceramic-enamel coated and clean just as easy. 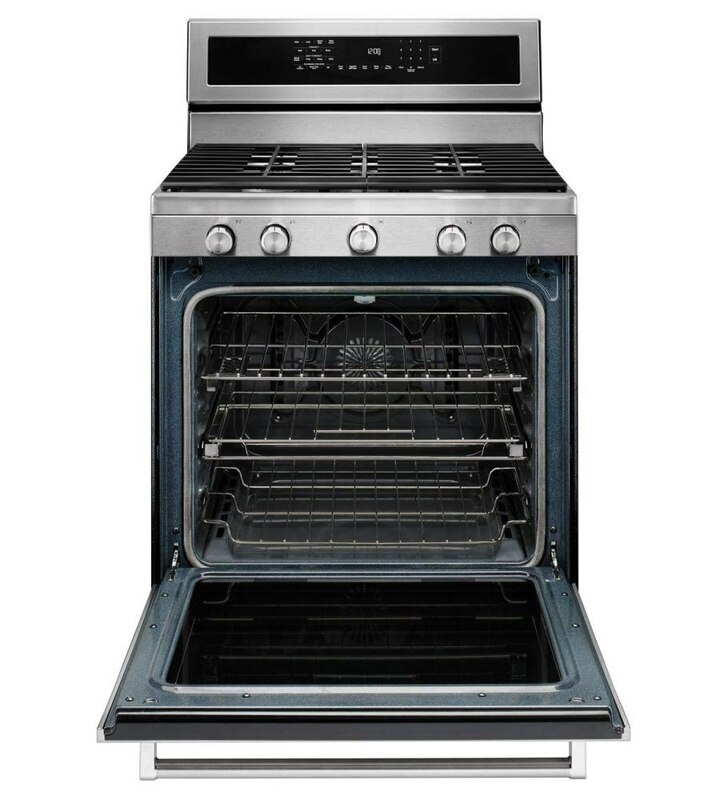 I prefer the stainless finish on the interior but in regards to performance, the microwave is basically a tie. Both companies deal with rebates in a similar manner. KitchenAid's rebate starts with a three-piece appliance package and the amount of the rebate increases up to a six-piece appliance package. What this means is, a three-piece package gets a rebate of $200, a four piece package gets you $400, five appliances get $600 and their maximum amount of a six piece package gets you $800. The KitchenAid package above that includes four appliances receives a $400 mail-in rebate. You receive this rebate in the form of a Mastercard by mail. 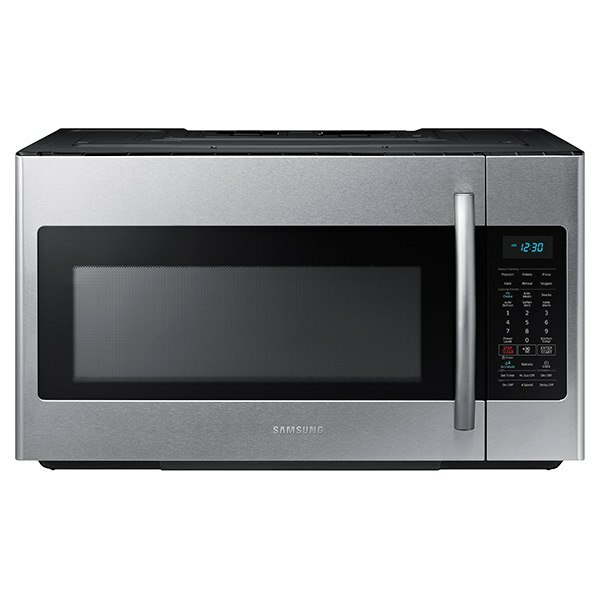 Samsung's rebate starts when you buy a kitchen package that includes four appliances. The four must consist of the refrigerator, range, microwave, and dishwasher. The amount you receive in rebates depends on the total amount of the package. If the four appliances total between $2,000 to $2,999 then the rebate amount is $200. If the four package totals between $3,000 to $3,999 then the rebate will be $300 and if your total package is $4,000 or more, the rebate amount is $400. The Samsung package above you receives a $400 mail-in rebate. This rebate would be received in the form of a Visa card by mail. Both KitchenAid and Samsung run these and different promotions monthly.  Most likely by the time you get to reading this blog these promotions may be expired. 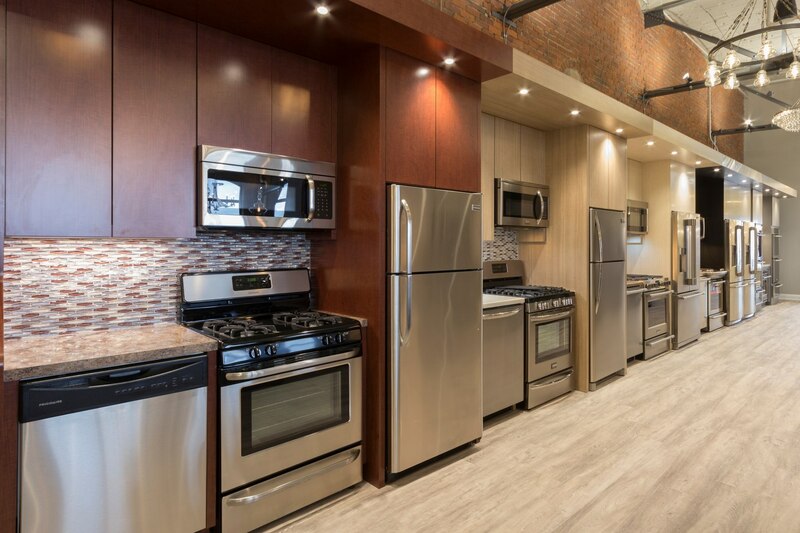 However, we wrote an article on the best time to buy an appliance in Boston. Buy it during a holiday period: Best time in descending order: Black Friday, Labor Day, Presidents Day, Memorial Day and Columbus Day. In terms of Samsung vs. KitchenAid, whether you are looking at this package or others, Samsung has better refrigeration across the board. KitchenAid has better dishwashers. Cooking is close. KitchenAid has decent front control and freestanding ranges. 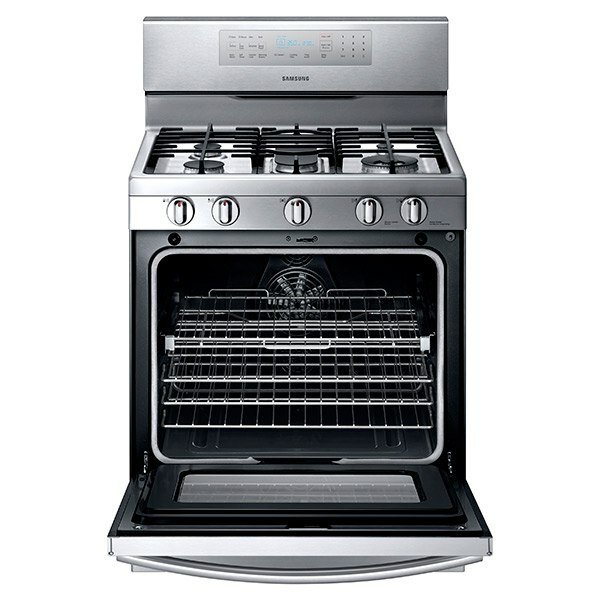 Samsung has better induction and higher end gas stoves. Your choice depends on what product you value and when you buy due to the fluctuation in prices. Need help with appliances? Then download the Yale Appliance Buying Guide with features, the answers to the 10 Most Frequently Asked Questions, and even the best time to buy an appliance. Well over 230,000 people have read a Yale Guide. Kenny Keefe is an appliance sales consultant at Yale Appliance + Lighting. Prior to working at Yale, he spent 10 years as a Golf Professional. Since becoming a team member here in 2014, his passion, drive, and pursuit to exceed customers’ expectations has made him a valuable asset to Yale. During his free time, he enjoys traveling, golfing, cooking, and keeping active.